Establishing a culture of safety within any organization is a complex and difficult process. Once properly in place, however, it can mean big payoffs and be a powerful motivator, forming the groundwork for further corporate culture and creating an attitude of long-term excellence. Safety culture forms through the careful analysis of work objectives, accident reporting and scientific process. It means harnessing margins to increase efficiency through behaviour modification—a necessity in an age where the ‘competitive edge’ no longer consists of geographic or political advantages, but the sharpening of internal procedure. This revision begins with leadership and ends with worker behaviour. Proper communication of objectives throughout a company will invest employees in a process of positive reinforcement. Once management selects safety objectives and worker behaviour is modified, negative or negligent attitudes towards safety are eliminated and the system will, of its own accord, maintain higher levels of productivity, potentially for decades, offering an affordable alternative to quick fix, numbers-oriented incentive programs. The formation of safety culture is scientific, with steps and benchmarks for success. Employee participation and feedback is a necessary part of the process to ensure that all members of an organization are on board. Once restructuring is complete, safety will no longer be a chore for employees. Positive reinforcement creates a system where members at every level of an organization propagate an attitude of safety and embrace healthy competition. This is the prevalent attitude in converts to safety culture. Safety culture may sound too good to be true, but it isn’t. The catch is a long road requiring employees at every level of an organization to invest time and effort into its creation. This process establishes a rock-like foundation upon which the success of a company can be built, and, like any geological activity, occurs over time and under specific conditions. Realizing the decline of safety within an organization is a little like watching an ecosystem lose balance—by the time numbers have begun to shift, the cause of the problem already has a firm foothold. At this point, reversing the tide is difficult. If incidents and injuries have begun to occur, it is because poor attitudes and behaviour have already become commonplace. Whether reprioritizing safety or building a culture from scratch, creating new thought patterns and core philosophies to steer a company requires research and analysis. Questions about which safety measures should be implemented or where to begin are difficult. Like a bacterial culture or coral, these questions will form a natural foundation for the growth of a system that encourages leadership and accountability. Tough to measure and locate, these factors may seem unrelated to performance but by probing employee motivation and the causes of unsafe behaviour, the framework around incident reduction is slowly revealed. The first step towards creating a culture of safety within any organization is the analysis of current safety conditions. What sort of safety structure already exists? What level of communication currently exists around safety culture? Are standards for employee injury and incident avoidance being met? Before modifying internal policies, an organization needs to balance potential investments and analyze where behaviour modification is necessary. Top-down (changes to management procedure) and bottom-up (behaviour-based, frontline adjustments) are likely both necessary, but overinvesting time and resources into one or the other without proper research into current conditions can cause more harm than good. Analyze training and training evaluations, review all everyday work procedures and see if there are any obvious links to injury or incident statistics. Go beyond end-of process injuries and examine behavioural statistics, like near-misses and meeting attendance. Safety perception surveys can go a long way towards developing a dialogue around the requirements of your own personal safety culture. The key is to create a vision for desired behaviours within management and in conjunction with employees. Once this vision has been established, clear communication objectives and a system of positive reinforcement around behaviour create a positive feedback loop where employees see compensation and praise along behaviour-oriented guidelines, not statistical motivators. This can be as simple as tracking the use of proper procedures and rewarding those who use safety equipment, not those who manage to avoid injury regardless of its use. Frequently, problems with safety culture develop around overemphasis of end-of-process statistics or lagging indicators, such as injuries or incidents. This creates confusion for employees who see only the need to avoid incidents, which can lead to false reporting. Inevitably, the barrier between employees and workplace hazards will erode, and, although it takes time, injuries start to occur. By the time an uptick in injuries appears, the behaviours that previously maintained safe working conditions have already vanished. It is important to emphasize leading indicators, like adherence to safety standards, statistics from safety inspections and training evaluations to gain a sense of how standards are being reinforced before an incident ever occurs. Another valuable leading indicator is employee opinion. Listen to employee opinion on workplace procedure to create a vision for safety performance. Leadership can then establish clearly reinforced, behaviour-based messages that offer reward for the improvement of overall safety. 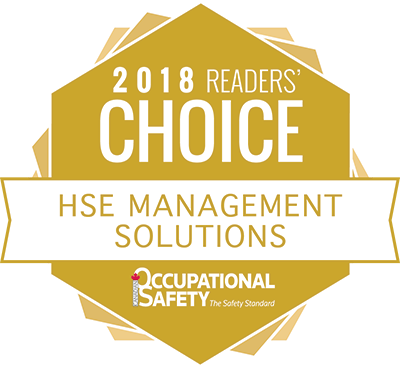 With only positive reinforcement and no punishment for negative safety statistics, management has created a system where employees feel a competitive drive with coworkers to exceed safety standards instead of just meeting basic requirements. When all of this is happening, the three pillars of safety culture are in perfect harmony. Properly maintaining leadership relies on the maintenance of vision and an effort to eliminate internal inconsistencies along with inconsistencies in procedure and employee practice. Leaders should try to spot the behaviour that creates unsafe situations and emphasize the importance of quality, eliminating the gap between what they want and what they’re asking for. Employee investment occurs when management has made the effort to listen to employee concerns regarding safety. Are procedures mandated and consistent? Is all the proper equipment present? Do employees have the training they need to avoid injury and complete tasks efficiently? When these needs are met and a reward system exist around the successful completion of tasks in accordance with safety guidelines, all the pitfalls of classic safety incentive programs have been avoided. Instead of being encourage to report coworker infractions, they are encouraged to maintain their own safety standards in competition with one another. Instead of suffering penalties for reported safety infractions, they are rewarded for reporting proper procedure. This creates a network of peer guidance and collective pride, like in a sports team, where members hold one another accountable for success not avoiding failure.